Primary contract in place with 72 hour kickout clause. Million Dollar Views! Fantastic views of Horseshoe Bayou and the Choctawhatchee Bay from almost every room in this condominium. Coastal colors of turquoise, navy and coral have been tastefully used throughout the professionally designed decor. Tile flooring is throughout the living/dining/kitchen areas with light wood laminate flooring in the bedrooms. The first level of living includes the fresh white kitchen with light blue glass tile backsplash, a dining area and spacious living area with a fireplace. 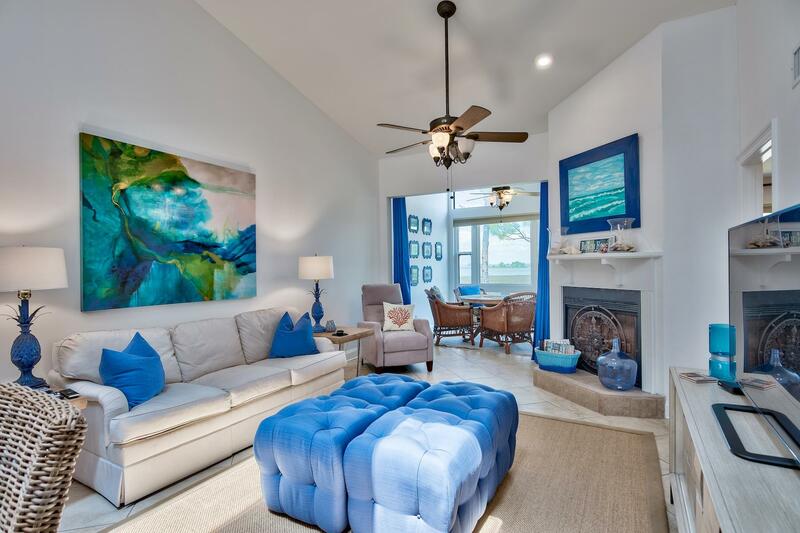 Also included in this area is an enclosed Florida room set up for your family to enjoy puzzles, games or reading while gazing at the amazing view.